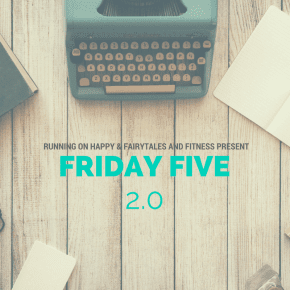 It's my first time linking up with Running on Happy and Fairytales and Fitness for Friday Five 2.0. Happy New Year! Tell us your goals, resolutions, or other things you’re looking forward to in the new year! Since I already shared my goals for 2017, I thought I'd share a few posts that I've recently read that may or may not help you achieve your goals this year! I absolutely loved this post from Laura at Mommy Run Fast. I think we all too often want to accomplish every single goal - lose weight, run faster, run farther! But we forget that we can't. Not all at once anyway. 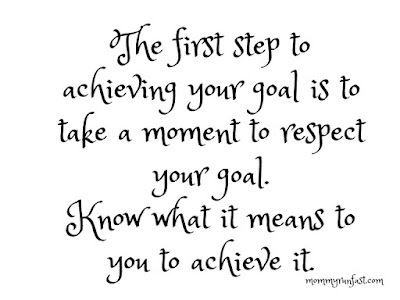 Instead, we should focus on one goal to succeed. Otherwise, we're setting ourselves up for failure. Looking for a new playlist for the new year? Deborah has you covered with this fun playlist! 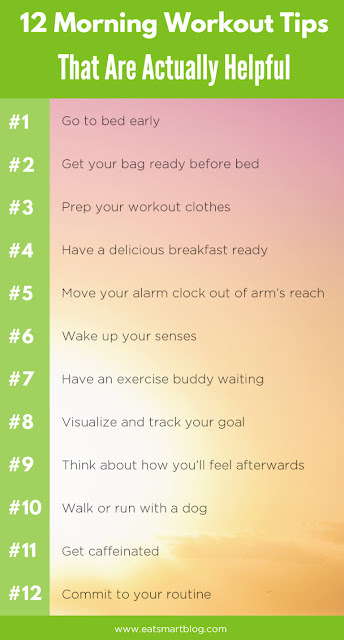 If running or exercising is one of your goals for 2017, here are 12 tips from Eat Smart Blog that may help you get going in the morning. This post from Angela at Happy Fit Mama just made me laugh. It's a not a recent post, but I recently read it for the first time. It's a fun little post about what runners don't need... what they can cut out of their lives... to make more room for running stuff! I'm going to cheat on this last one, because, well, it's my blog. LOL. This last one is a post I wrote last month. No matter your running goals for 2017, remember to make it FUN! 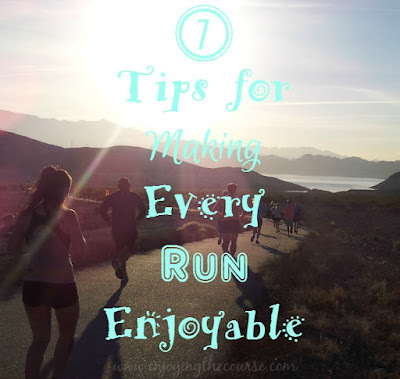 Here are my 7 tips to ensure an enjoyable run. That's it for today! Hope your 2017 is off to a fabulous start!! Love those tips! I have been trying a few. I am usually a night owl but tried to go to bed early the other night, and ended up getting up at 4:30 am and couldn't get back to sleep. Maybe I went to bed a little too early...haha. I've always been an early riser (compared to most), but it seems like it's even more so as I get older. Now, no matter how late I say up, I still seem to get up early. Love it! Sometimes a little break is all we need to rejuvenate!